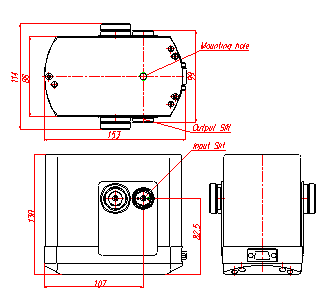 The ML44 is a compact high-aperture short-focus monochromator operating in the spectral range of 190-1200nm. 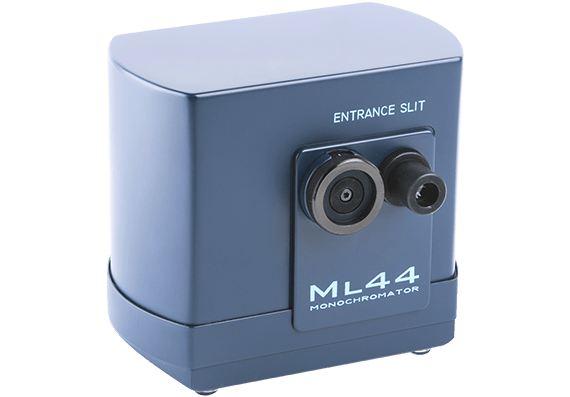 Complemented by a light source, the ML44 can be successfully used as a monochromatic illuminator for fluorescence excitation. The ML44 monochromator comprises two diffraction gratings mounted on a single rotation axis. Spectrum scanning and diffraction grating change are automated. 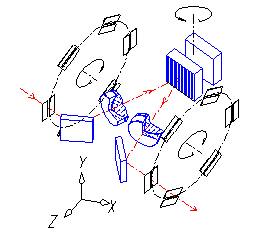 The wavelength for automatic gratings switching is set by the user in the instrument software. Entrance and exit slits are changeable; they are mounted on two six-position discs. Each disc contains six spectral slits pre-aligned by the manufacturer. To change the slit width you just need to manually rotate the knob moving it to one of its six fixed positions. Two indicators on the ML44 housing show the widths of entrance and exit slits, and the software calculates the spectral width of the line separated by the monochromator. The delivery set contains two optical fiber adapters and two fused silica condensers. Condensers and fiber adapters can be installed on the entrance and/or the exit slit. The condenser is used to focus the light onto the monochromator entrance slit, as well as to focus the light, coming from the monochromator, to the object. Fiber adapters allow to transfer the light to/from the monochromator via optical fibers (SMA-905 connectors). Optical fibers can be supplied upon your request. Scanning control is performed from a computer via the serial RS-232 port. The delivery set contains a USB-RS232 adapter providing the USB interface. The program DLL and/or LabView drivers are available at your request. As a result of all these advantages the ML44 features exceptionally high aperture (F # 1:2.9), good line quality and does not have any astigmatism at its exit slit plane.